Thanks for dropping by and reading about my SPECIAL NEWS. I’m guest blogging over at One Stop Teacher Shop! Raise your hand if you’re a pro at Close Reading? 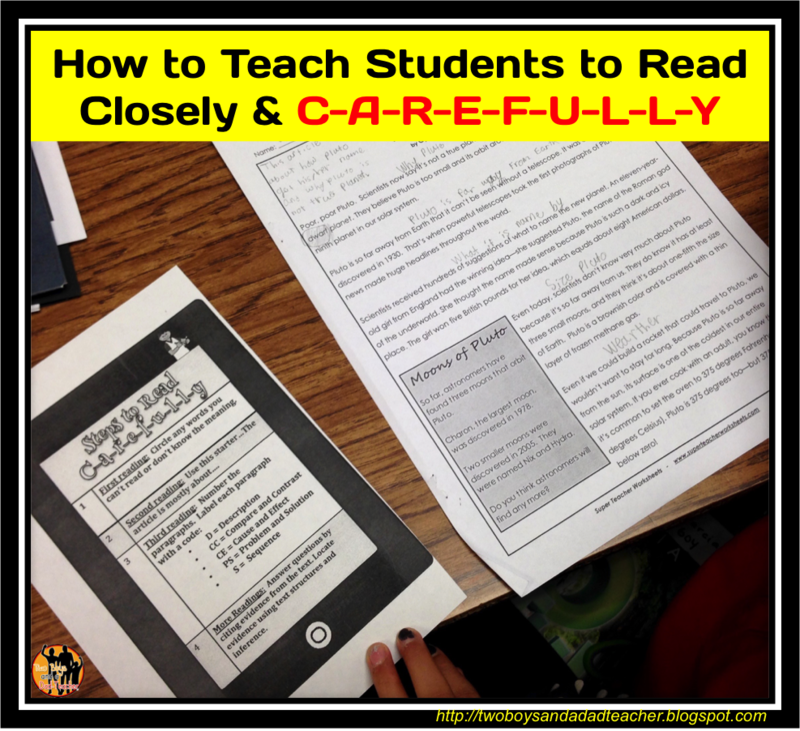 Raise your hand if your students are pros at Close Reading? If you’re not sure about it, join the club. Since Close Reading came along as the newest buzzword in education, many of us have climbed aboard the bandwagon hoping that this is exactly what our students needed in order to fully and deeply comprehend text . The key to analyzing text is proper coding and annotation. Or so I thought…. Click on the image below to read the rest of the article! And for another ANNOUNCEMENT….IT’S TIME FOR A Teacher Appreciation SALE!!!!! You’ve been working hard all year so……Teachers Pay Teachers is having a sitewide sale this May 5th and 6th! My entire store will be 20% off, including BUNDLES! Also use promo code ThankYou to get an additional 10% off for a total of 28% off!!!! Do you have your wishlist ready? Is your cart already full and ready for check out? Let’s get going! Start filling up your cart now! Be sure to check out my newest resource! Fun game for review and reinforcement for measuring perimeter and area of plane figures.